These luscious treats are so easy to make with absolutely decadent results! Wash strawberries and dry thoroughly. Do not remove stems. Place chocolate in heatproof bowl over saucepan of simmering water. Cook until chocolate is almost melted, stirring occasionally. Remove from heat; stir until smooth. 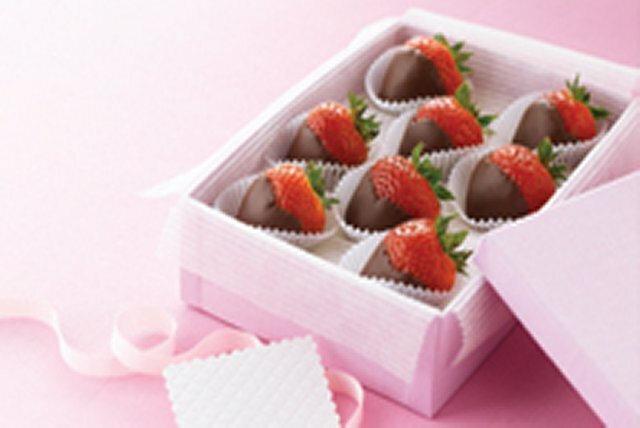 Dip bottom half of each strawberry in chocolate; place on waxed paper-covered tray. Refrigerate until chocolate is firm. Strawberries can be stored in refrigerator up to 6 hours before serving. If you have a double boiler, use that to melt the chocolate squares. Store dipped strawberries in refrigerator.